Nice new fresh box which I can open and start with 3 with normal weapons one assualt enforcer and one ‘heavy weapon’ enforcer. Here are the bits freshly washed in lukewarm soapy water then rinsed and dried. 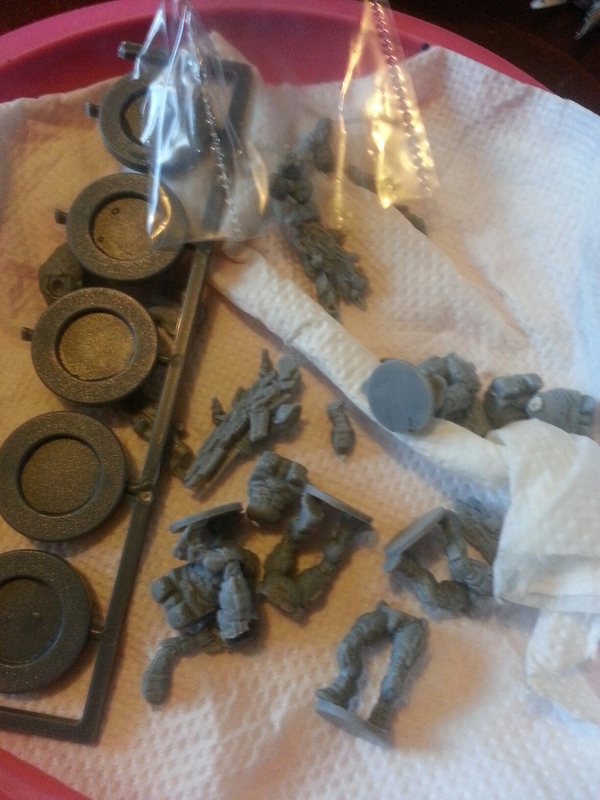 This removes any residue of the realeasing agents used to get the sprues out of the mould. Here they are superglued together. Making these minis was quite fiddly at times and could have done with an extra hand but other than now having fingerprints that are non existent due to superglue coated fingers they are all built. Next will come the painting when I have decided on the colour scheme. 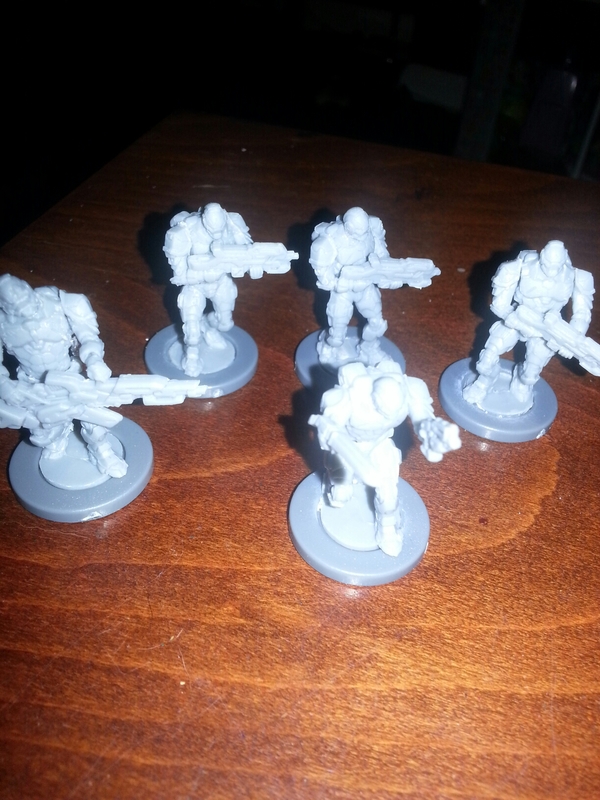 I would love to do a black enforcer like the guys from Starwars but I tjink that will leave the miniture to black. So will probably go for urban greys. The only thing is might look to similar to the ones on the box.